Niagara Falls will be lit up in green this weekend. 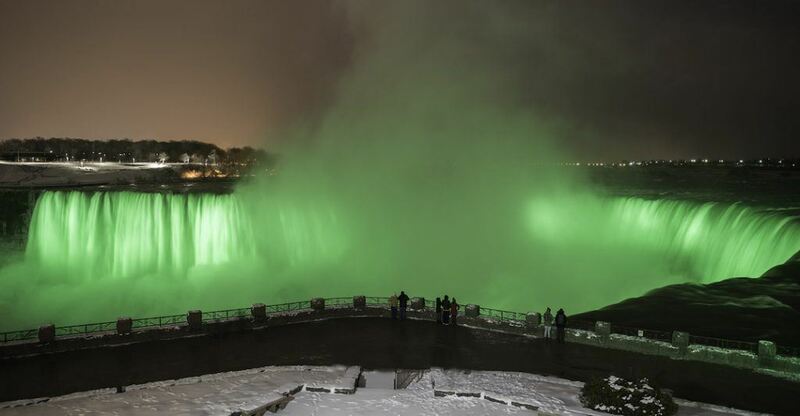 Once again, and in partnership with Tourism Ireland’s “Global Greening” campaign, the Niagara Falls Illumination Board will light up Niagara Falls in green on Sunday, March 17, in celebration of all things Irish on St. Patrick’s Day. 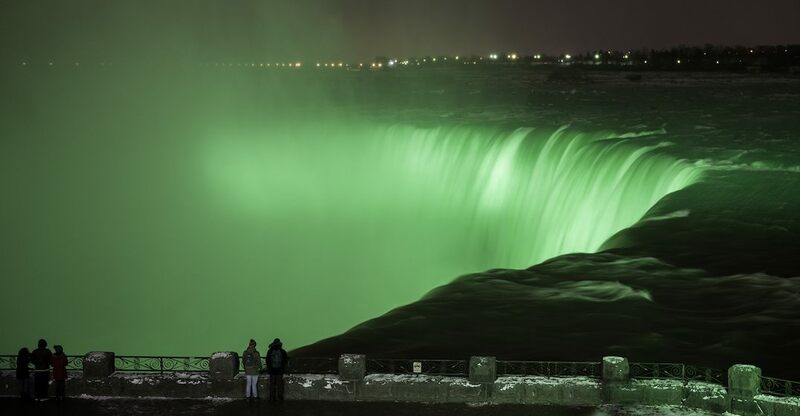 Both the American and Canadian Horseshoe Falls will be bathed with green light for 15-minute intervals at the top of the hour from 7 pm to 2 am, according to Niagara Parks. The falls will be joining numerous prominent world icons such as the Sydney Opera House, Empire State Building, the Christ the Redeemer statue in Rio de Janeiro, the London Eye, the Colosseum in Rome and the Leaning Tower of Pisa, which are all taking part in the “Global Greening” campaign. “New LED lights have an added benefit of reducing total energy lighting consumption by up to 60%,” states a release. And this weekend, it all goes green for the annual event. Established in 1925, the Niagara Falls Illumination Board is made up of representatives from the City of Niagara Falls Ontario, City of Niagara Falls, New York, Ontario Power Generation Inc., New York Power Authority, New York State Office of Parks, Recreation and Historic Preservation and The Niagara Parks Commission. It is the Illumination Board’s responsibility and mandate to finance and maintain the nightly illumination of both the Horseshoe and American Falls.